This little fellow was painted as a gift about a month ago, but various illnesses prevented us from seeing the recipient until today. Happily, he now has a new home, and I am happy to reveal him to the world. The minifigure joined our household last Christmas as part of the 2011 Star Wars advent calendar. 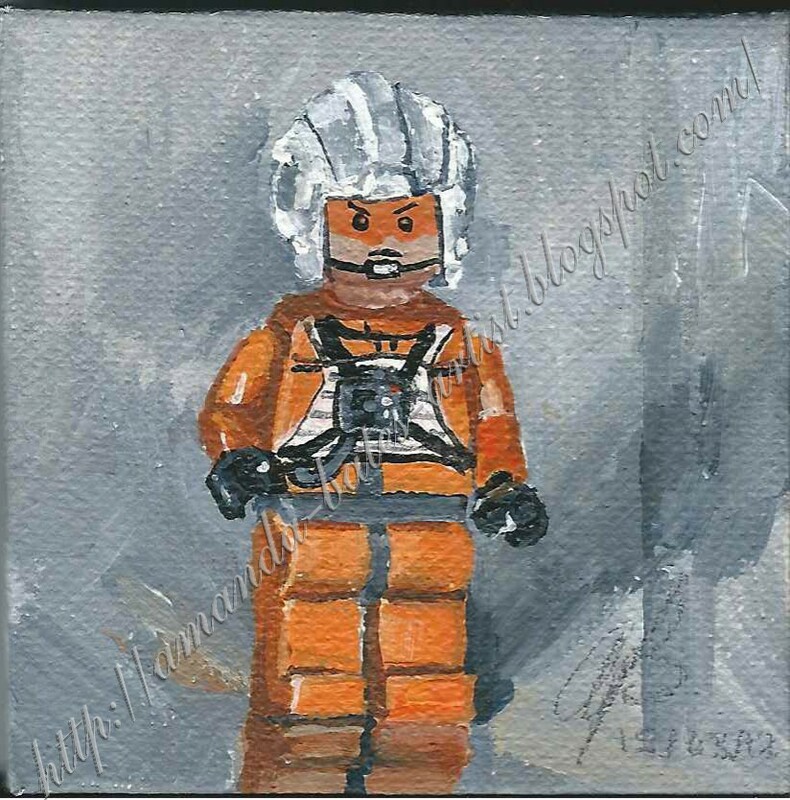 Acrylic on canvas, 7 x 7 cm.